Ethiopia, Africa’s second-most populated country with more than 90 million people has witnessed a spectacular economic growth over the past 2 decades and is evolving as the new powerhouse of Africa. More than 65% of the country is aged under 30 and the country’s rapidly growing education system currently boasts 20 million students. The Ethiopian economy is currently the fastest growing economy in Africa and the 3rd fastest growing economy in the world. The drastic increase from roughly 4% in the early 1990s to almost 11% in the last decade; an economy that is growing at an average of 10% a year doubles every seven years. 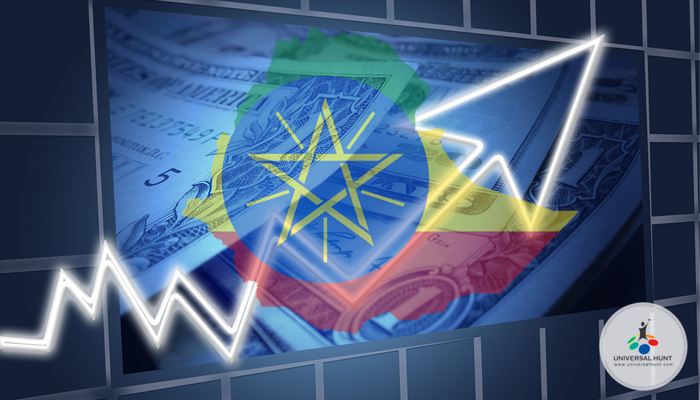 According to this rate, the Gross Domestic Product (GDP) of Ethiopia is expected to grow by $215 billion by 2030, which is now $51 billion. The long-term economic opportunity is even much richer. Several factors such as exposure gained through the years of high economic growth, growing government budget due to expanding the economy and improved revenue gathering system, developed network of roads and enhanced railroads, etc are favorable to economic growth expected to keep the Ethiopian economy on a track of constant growth over many years. Furthermore, investors around the globe who have identified Ethiopia’s dormant – cheap workforce, new investment policies, and low corruption levels and laws have eliminated unwanted bureaucratic rules and reduced complicated investment regulations and are streaming billions of dollars into the country. Ethiopia’s balance and military force are also two other factors that have brought the attention of global investors. The huge expansion of health, educational, IT, and other social infrastructures coupled with expanded economic activities of the country within itself and global countries has succeeded in the creation of millions of jobs. Also, the country has immense potential for expanding enterprises and promoting innovations. Small and medium scale industries help bridge the gaps in per capita income. Small and medium scale businesses have developed as a powerful tool in offering comparatively large employment base for a given unit of finance, removal of regional economic disparities, and equitable wealth distribution. Several cities in Ethiopia are growing at a fast pace and are also creating interconnections with rural places. Are you wondering how to explore to those impeccable opportunities in Ethiopia? Don’t worry! Join Universalhunt.com community and start networking with people from that region and update yourself with professional opportunities, possibilities, and growth. Universalhunt.com is global professional networking and career platform with a very strong percentage of members from the Middle East and Africa. As a member, you also get access to thousands of job opportunities posted by the African and Middle East companies from countries like Kenya, Qatar, UAE, and many more. © 2019 UniversalHunt All Rights Reserved.